If your life came to an end tomorrow — would you feel like you’d made the most of it? 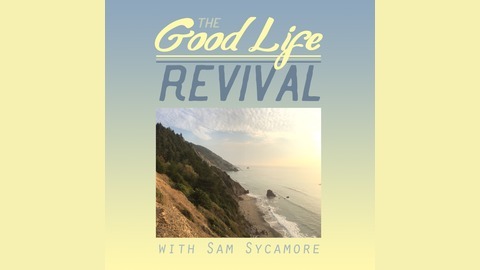 For episode 59 of the Good Life Revival Podcast, I met up with Kelly Moody, creator of the Ground Shots Podcast and companion blog, Of Sedge and Salt. Since we're both pretty unconventional podcasters who currently reside in California and like to talk about plants & people, we thought it'd be fun to do a kind of joint interview to get to know each other better. Though originally from the deep south, for the last several years Kelly has been based on the west coast while rambling 'round the country in the vintage camper-adorned Ford truck that she calls home. Like me, she's fascinated by the ways that humans relate to their environments, and she is equally passionate about sharing big, challenging ideas. In the end I think our chat serves as a great introduction to both of us, and we covered a lot of fertile ground at the intersections of our common interests. 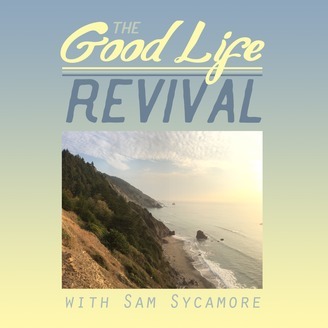 Among other things, we discuss the age-old question of whether to stay where you’re needed or relocate where you fit in; the challenges of working with the land when you lack a permanent residence; the romance versus the reality of #vanlife; and the importance of keeping an eye on Death looming in your rearview mirror as you voyage through life. I left Kelly's camper that day with so much food for thought echoing through my head, and I hope you'll walk away from this conversation in the same state of mind! Stream and download episode 59 at the top of the page, or listen through iTunes, Stitcher, or Google Play. To learn more about my upcoming Foraging North America online course, click here. If you want to stream my latest album Bliss, you can do that right over here. Today’s theme song is called “Natural Bridges”, written and recorded by yours truly especially for this episode. Subscribers at any tier on Patreon can download this tune along with all the others in my vast podcast music archive!